Street Parking is available but limited. Our customers are welcome to park in the Giovanni parking lot across the street. At the Worlds only Steampunk Tea Room! 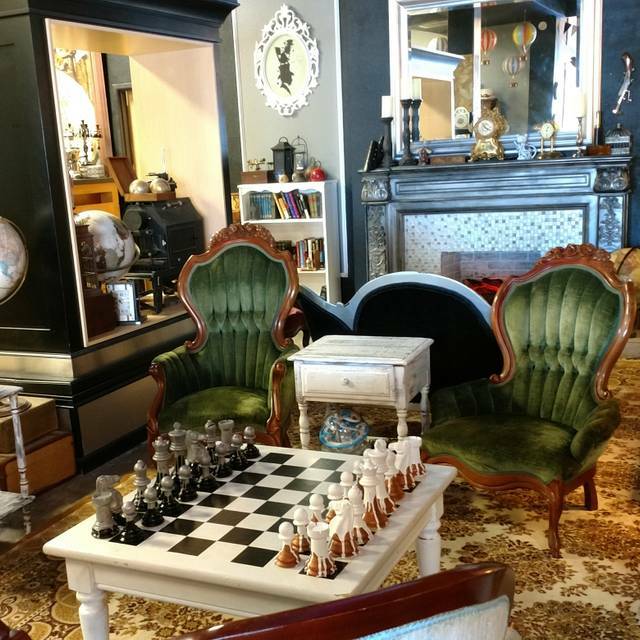 The worlds only Steampunk Tea Room has arrived in Downtown Beaverton, Relaxing atmosphere, good music and wonderful tea. All was great but I’m a picky eater and would like to have options. Amazing atmosphere and high attention to detail in both setting and food. More than enough to eat, and the tea selection was wonderful! Will definitely be returning. Everything about this experience is fabulous. The food is delicious, the atmosphere is enchanting, the service is outstanding. I can’t want to come back! Overall, such a fantastic experience. 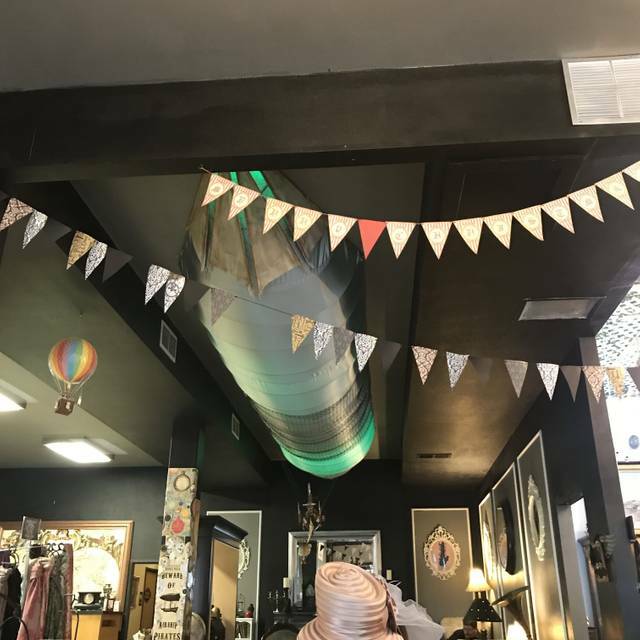 The decor is immersive and cohesive to the vintage steampunk theme. Each table has a different set of matching teacups and plates. We did the afternoon tea service and each got our own pot of tea along with a very generous portion of many small bites. You won’t leave stuffed full, but that’s not what tea is about!!! Overall, very worth the time and price. Clockwork Rose is a wonderful tea house. Nicely updated version of afternoon tea sure to please younger and older customers alike. Our tea and food were excellent as was the service. The only down side was the price, $35 per person makes for a costly outing, especially for a family. Also, you need to plan way ahead for a seating. I wish there was a most casual area where you could get a pot of tea and a snack for a much lower price point. Everyone should at least go once as it is a very enjoyable experience. 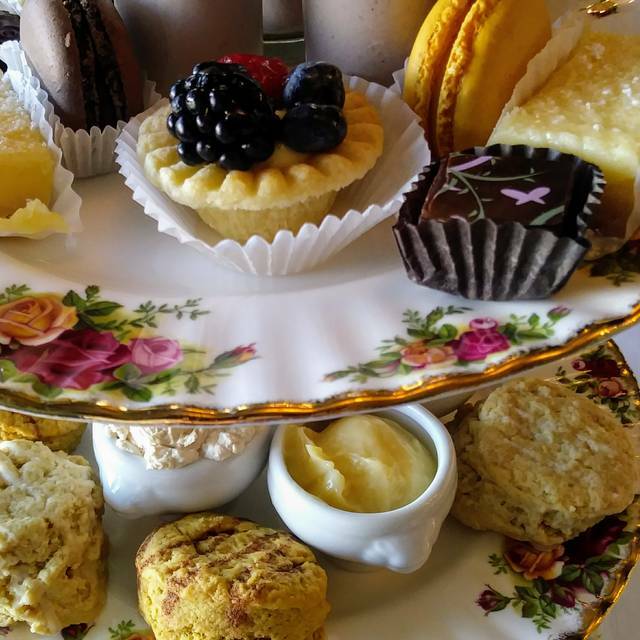 The Clockwork rose tea Emporium is the best high tea in the Portland area hands down. Harold and Maggie are incredible hosts. The tea menu is extensive, and the food is phenomenal. The Emporium is not to be missed. While you're there be sure to check out they're ode to 20000 leagues under the Sea. And if you feel up to it, put on your best steampunk duds,y ou will feel right at home. My third trip in two months. I am introducing family and friends to this fabulous gem right close by me in Beaverton. Make a reservation! You will be delighted! Always a great experience and a lovely atmosphere. I feel lucky to have Clockwork Rose so close to home. Food and was delicious! Great atmosphere and fun experience. A gem in the heart of Beaverton! So great! A very enjoyable experience. Will do again! Extensive tea list, with explanations provided by the proprietor. Beautiful food, made to order, so make sure to honor your reservation. I have been visiting any tea room within a day's driving distance for lots of years, and to have this one essentially in my own back yard is such a bonus. We had three generations of ladies ages 13 to 79 taking tea here and everyone had a great time. The staff was so warm, welcoming, and very knowledgeable about the tea, they were able to match each of us with a tea that suited us perfectly. The food was all fresh and delicious, and the atmosphere so unique. It's obvious the owners have put a great deal of heart and creativity into this place. We had such a great time at tea! I love going to tea there! 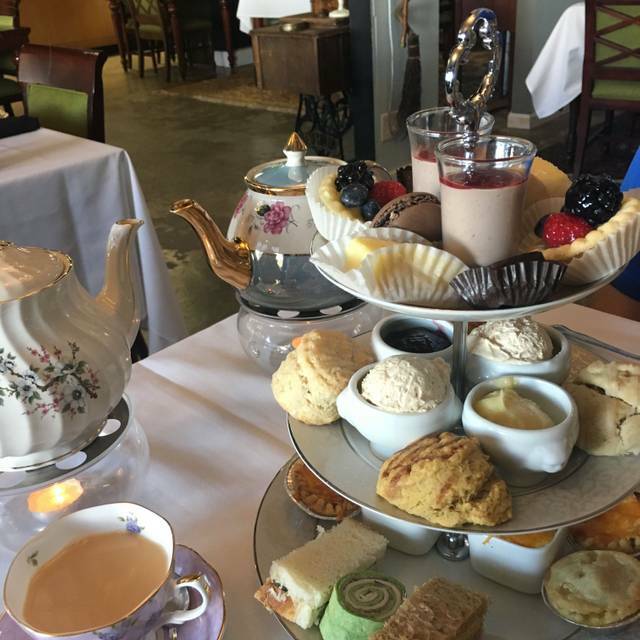 Great place to experience high tea with excellent food and fun atmosphere. It’s a great place for a special occasion. What an awesome and amazing experience!!! So much fun, really nice tea and come delicious food and sweets. Took my Daughter and 4 yr old Granddaughter for their B-day celebration. My Granddaughter was so enthralled with the place she was giddy and very Properly behaved for hi-tea. Things were amazing as always! We had an amazing time. Everything was so well done, delicious and so much fun! We will be back!!! I have recommended this place to friends and coworkers. It’s absolutely amazing! The teas are exceptional, as is the food. The ambiance and decorations are practically tour worthy by themselves. Unique atmosphere, gracious hosts and servers, spectacular selection of teas and very, very good food. Great experience! Our book group met for a late Valentine's Day celebration, there were 5 of us. We had a marvelous time!Howard's descriptions of the teas, and his history in opening and running the restaurant were interesting and fun to hear. Our group plans on coming back! Maybe with hats on this time!! Excellent food, ambiance, and service. O was very favorably impressed with the quality and taste of the vegan food I ordered. 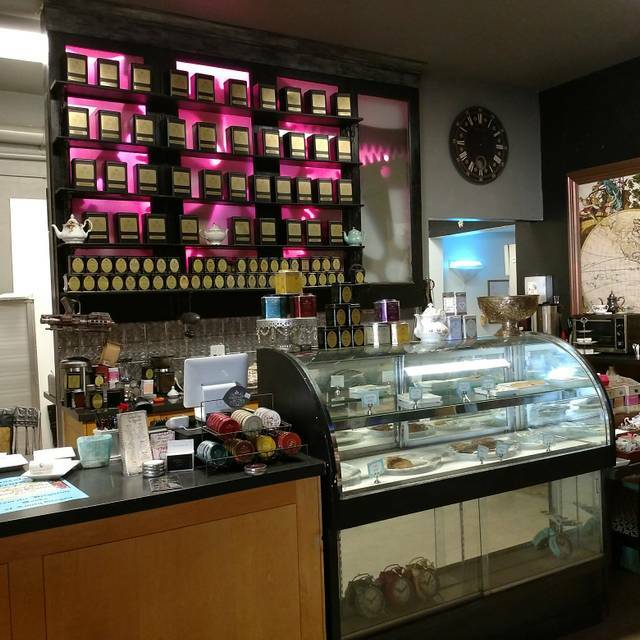 Amazing tea, great food, fun whimsical setting, and the nicest staff. We will definitely be going again!! Friendly staff. Dazzling and varied decor. Fabulous selection of tea (this coming from a tea snob). And words cannot describe how good the scones are! Such an amazing experience! Not to be missed! The food was absolutely delicious. You won't leave hungry - but it's just the perfect portions. They are so knowledgeable about the teas and can help you choose what works for you. Delicious! The ambience is perfect. It's the first time in a month that I was able to relax and enjoy myself. The owners are absolutely delightful! A must-go! Wonderful fun! We really enjoyed the entire experience. Such a gem and a great experience to share with friends. Get on their mailing list if you like to dress up for themed teas! Wonderful place, the owners were so friendly and informative about the tea origins and flavors. Every bite was spectacular, and the tea was heavenly. Will definitely be going back with friends. 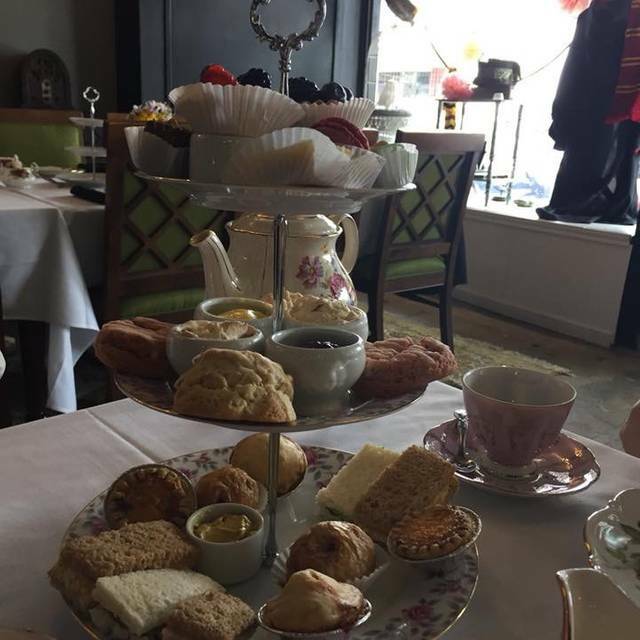 I try to visit a lot of tea houses for high tea and this is one of my favorites! Friendly and knowledgable staff, delicious food (and lots of it! ), great teas, and fun decor (check out the floor mosaic in the water closet). Very accommodating with dietary restrictions. Will definitely be back as often as possible to try to drink through the many fantastic-sounding teas on the menu! It’s wonderful having an eclectic locale where one can have tea. 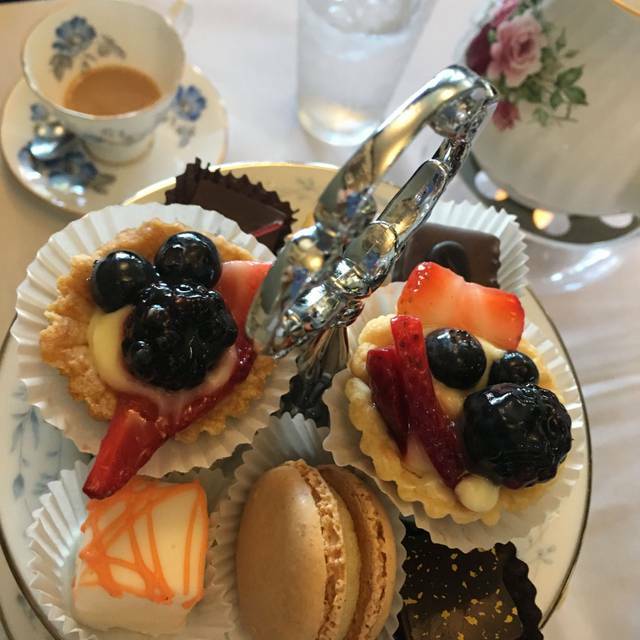 It’s a wonderful place to celebrate special events or just meet with friends and have delicious food and a spot of fabulous teas from England and NOT be rushed or have to yell to be heard. This is our new favorite place! We love this place....nothing like it anywhere, so worth the drive. A tea “room” in the classic sense but with a unique interpretation of the vision and taste of the owners. Easy to relax with the large pot of top quality tea served to each guest. 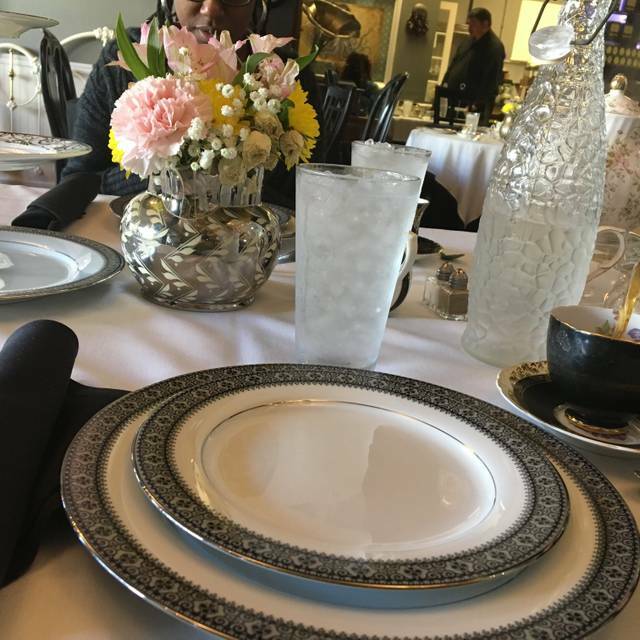 The menu is classic and like the decor and ambiance, is comfortable and easy to enjoy with the same interpretation in accordance with the owners unique style. Definitely gets 5 stars from us! Loved our High Tea and conversation with the knowledgeable and attentive staff. Decor is beautiful, Food superb and atmosphere relaxing. Very fun Birthday for our mum! Such a fun experience. Love the attention to detail in the Tea, Decor, and Food. 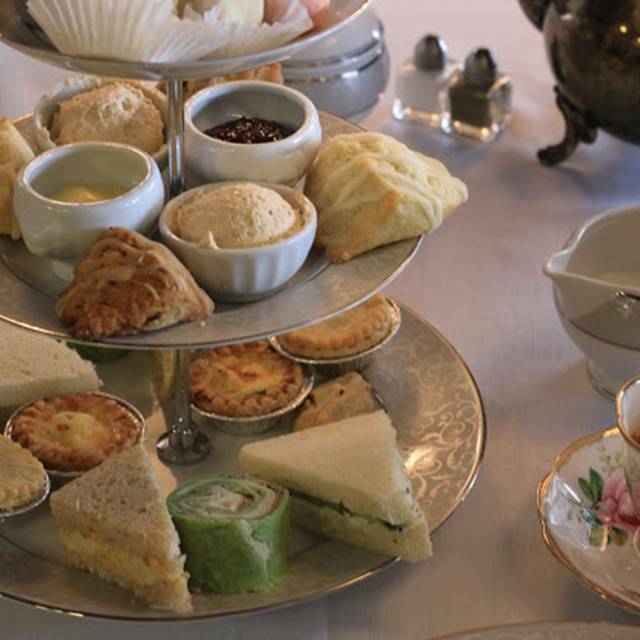 A must stop for anyone who enjoys High Tea! An excuse to dress up, suspend reality, eat delicious food and enjoy an excellent cup of tea. An excellent venu for special occasions.